Improper fall protection is considered a top workplace hazard. The good news is GSM Roofing offers solutions like roof safety railings that will minimize fall hazards and create a safer work environment for your employees or contractors working on the roof. 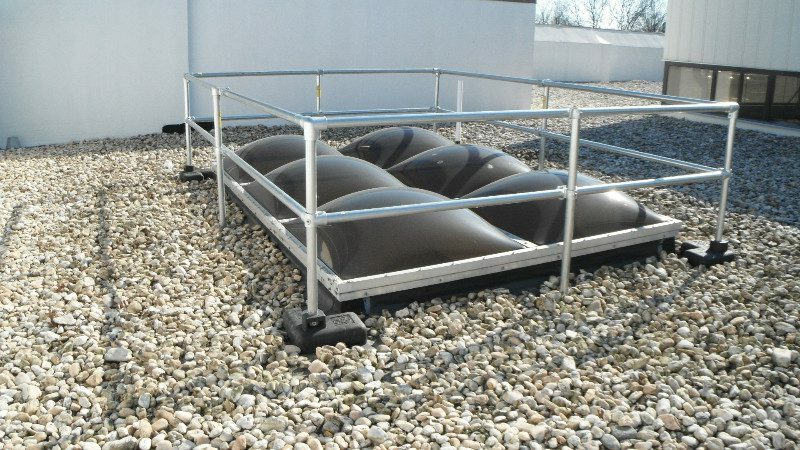 Our team can design and fabricate roof safety railings that are non-penetrating, OSHA-compliant and easy to install. Railings can be customized to match any color or material finish you may need. And the best part is your new railing system might prevent a tragic accident before it can happen. 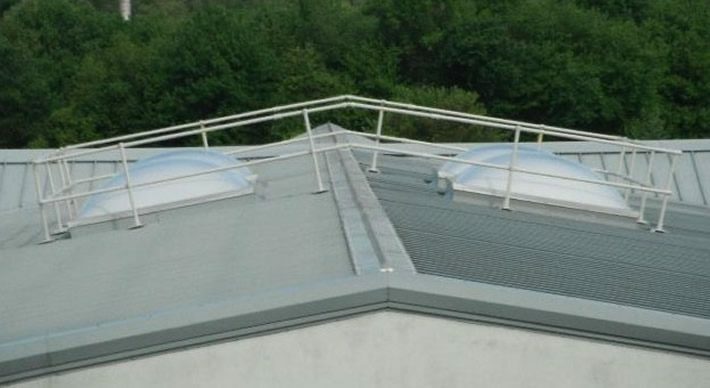 Ready to talk about roof safety railings?